(MENAFN - Newswire.com LLC) WOODBRIDGE, Ontario, February 11, 2019 (Newswire.com) - With Valentine's Day only a week away, love and romance are in the air as people commemorate the cherished relationships they have with others. 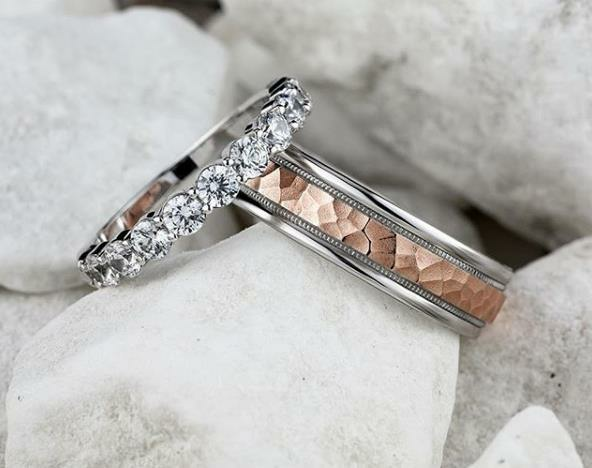 For those planning their wedding or a renewal of their marriage vows, Damiani Jewellers now offers Benchmark wedding bands at their jewellery showroom in Woodbridge, Ontario. To celebrate Valentine's Day and the launch of the new brand, the retailer will also offer 25 percent off every Benchmark wedding ring purchase. Benchmark, a company with a strong emphasis on eco-friendly practices, uses metals such as 14kt gold and re-refined platinum as well as non-traditional metals such as cobalt and tantalum in its jewellery line. Additionally, the designer's wedding rings also feature ethically sourced diamonds , as well as lab-grown stones made in a process identical to the ones mined diamonds undergo deep beneath the earth. Lab-grown diamonds are a new addition to Damiani Jewellers' repertoire of gemstones, so they are particularly excited to see how these new offerings do with their customers. For more information about Benchmark wedding rings or any of the other products available at Damiani Jewellers , contact the retailer by calling (905) 850-4653 or emailing email . With over 60 years' experience serving clients with their fine jewellery expertise, Damiani Jewellers is the Greater Toronto area's premier jewellery retailer. For three generations, their family-owned business has provided engagement rings , wedding bands, loose diamonds, fine jewellery items and luxury watches for their customers' most treasured moments. Damiani Jewellers is also proud to be an authorized dealer of authentic Rolex watches and this accomplishment speaks to the unbeatable customer service that each shopper receives. To learn more about the products and services offered at their showroom in Woodbridge, Ontario, visit their website, call (905) 850-4653, email or stop by their store in person.